Today I'm sharing this simple makeup tip with all of you. I found this image on Pinterest and I figured that even though it's such a basic technique, not everyone is aware of it and some people might be applying their concealers incorrectly. Instead of applying concealer only on the bottom part of your eyes where your eye bags are (which will only make it more noticeable), apply your concealer in an inverted triangular shape as shown on the left side of the diagram above. Doing this will not only cover your undereye circles flawlessly, but it will also serve as a form of "highlighter" and give your face a glowing effect. If you contour your face, the concealer will also help to enhance your cheekbones. Try applying your concealer using this method and see how it makes a world of difference! I really useful tips, thank you for sharing. Great tip Kylie! Because now I know that I'm applying my concealer incorrectly! HAHA. Lame. Thanks for sharing! The makeup artist Wayne Goss posted a video about the same two techniques of applying eye concealer about a week ago. You may want to check it out too! I love this kind of beauty tips lovely! Great tip - it also helps when you are about to start contouring your face too :)! I haven't tried using concealer but you made me wanna try. I have also recently seen this tip shown online, however I haven't yet put it into practice.. time to change that! I really need to start using concealer. Great post! 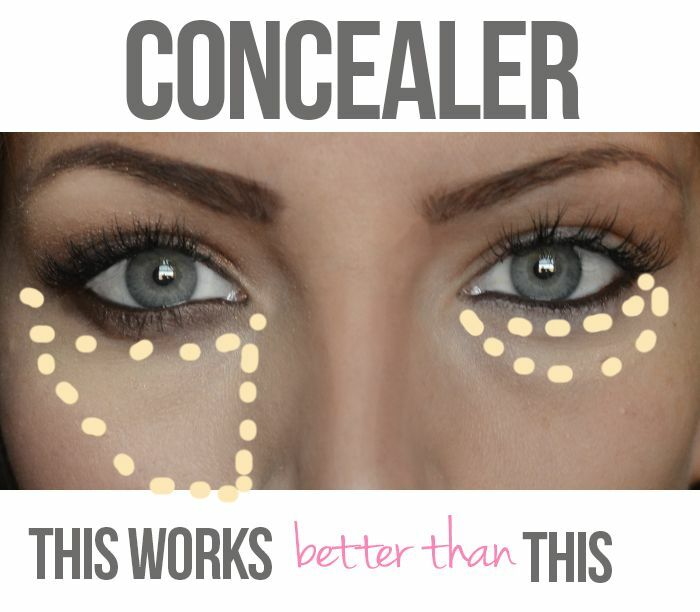 I don't use concealer but maybe when I do, this tip would come in handy! Thanks for sharing Kylie! It's a great tip and I've definitely started doing this!